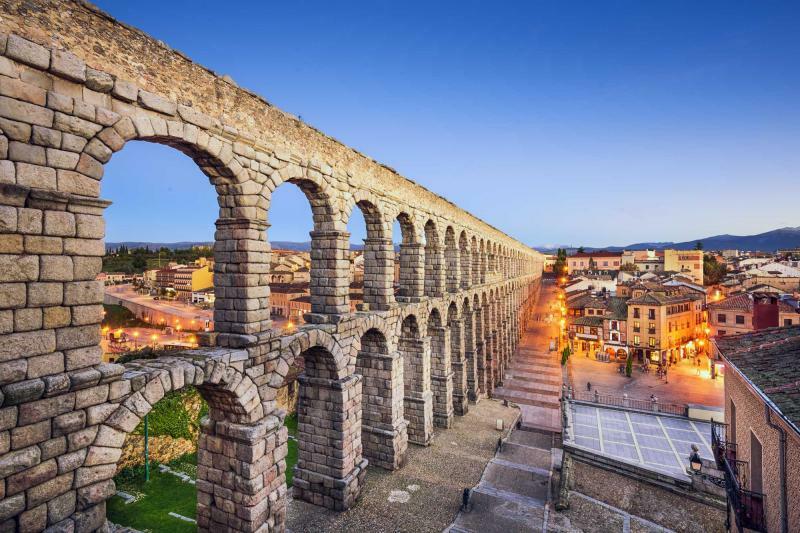 Spain's architecture blends the centuries, fabulous sweeps of stone and marble connecting exquisite treasures from the past. Mudejar mosques, Romanesque relics, Gothic opulence, Iberian Judaism, medieval fairytales, Renaissance revival, and then you're in Barcelona, seduced by the art nouveau fantasies of Gaudi and Montaner. 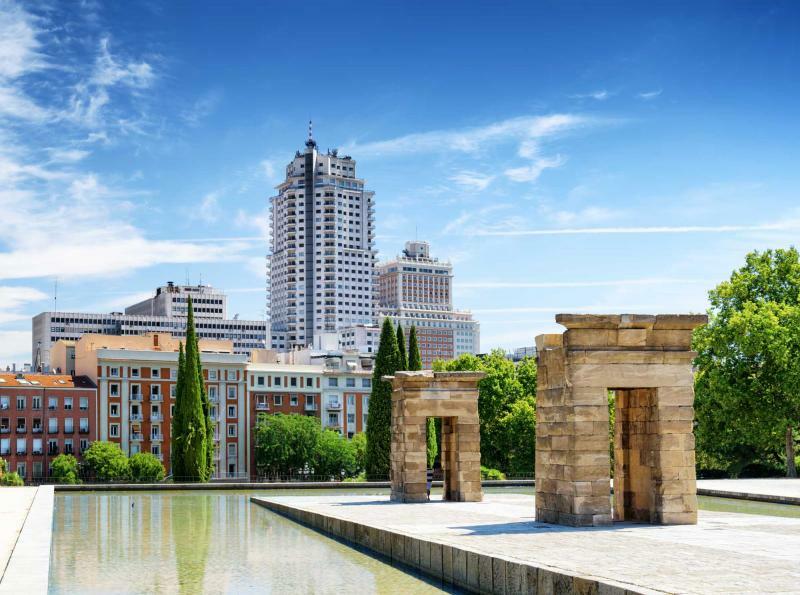 Surrealism merges with realism over these 15 days, enabling you to laugh and cry over the romantic history of this fabulous country on this art & architecture tour of Spain. 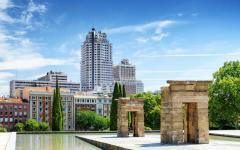 Spain has always welcomed the architectural pioneer: the wealth of eclectic old cities plundered on indulgent and opulent displays of power. As the cities grew rich they invested in a unique style; Mudegar Eastern exoticism in Andalusia, Gothic and Renaissance in the towns of Spain's Golden Age, art nouveau in modernist Barcelona, baroque and Romanesque designs favored by the church. When the various kingdoms' prosperity dissipated the buildings remained, each a glorious ode to wealth and artistic beauty. Viewed in isolation, each of these architectural monuments is a remarkable attraction. But as a collection they reveal so much more, taking you on a journey through the romantic history of Spain, allowing you to relive the conquests and the kings, the religious ideology and the intellectual glory. 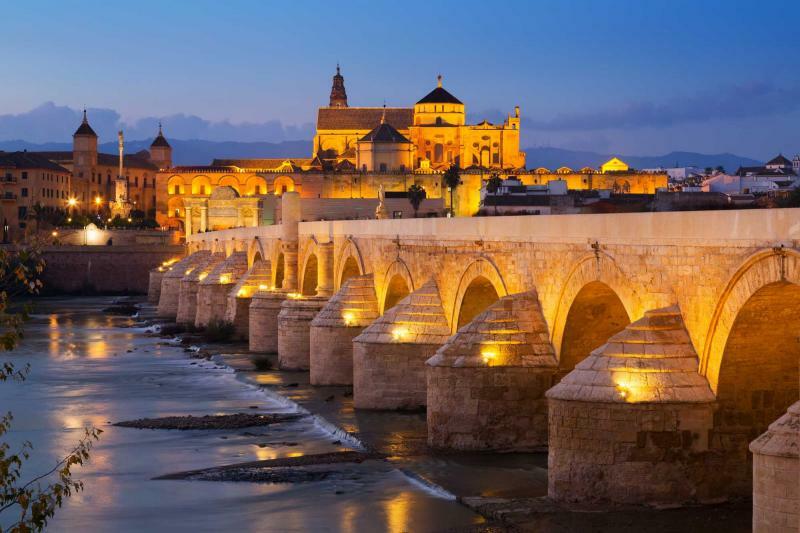 The tour starts in Andalusia, where Islamic and Eastern influences exquisitely mark the cities of Seville, Cordoba, and Granada. The pre-12th century design has been repurposed and elaborated, the mosques converted into grand cathedrals as more recent Renaissance styles mingle on the streets. 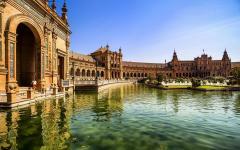 Spend three days in Seville, an eclectic start to the vacation, before two nights in Granada. All transfers are by luxury vehicles and a specialist architectural guide accompanies you; the guide narrates the hidden tales found in the corners of buildings and deserted towers. From days six to ten you cross the Spanish kingdoms, reliving the tales of conquistadores and religious crusades from Toldeo to Avila. Spend the evenings in sublime medieval towns, lost in the secrets that hide behind 11th century city walls. 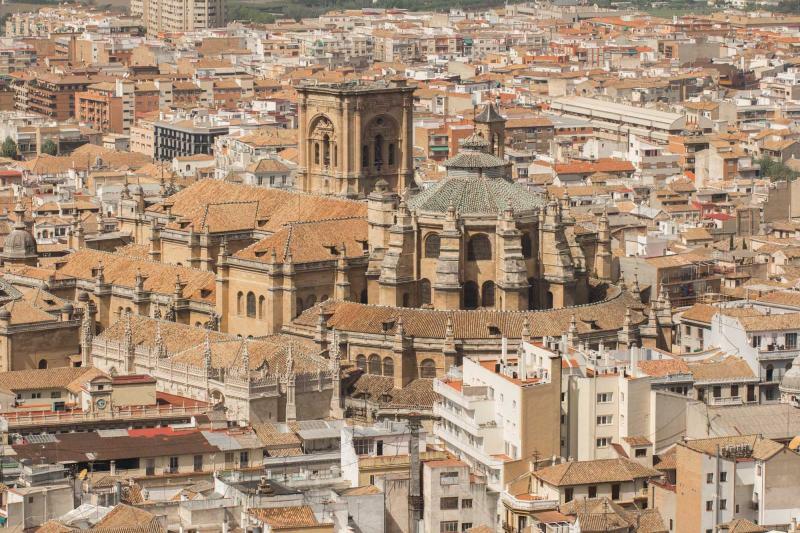 And spend the days exploring the architecture that was erected during the Spanish Golden Age. 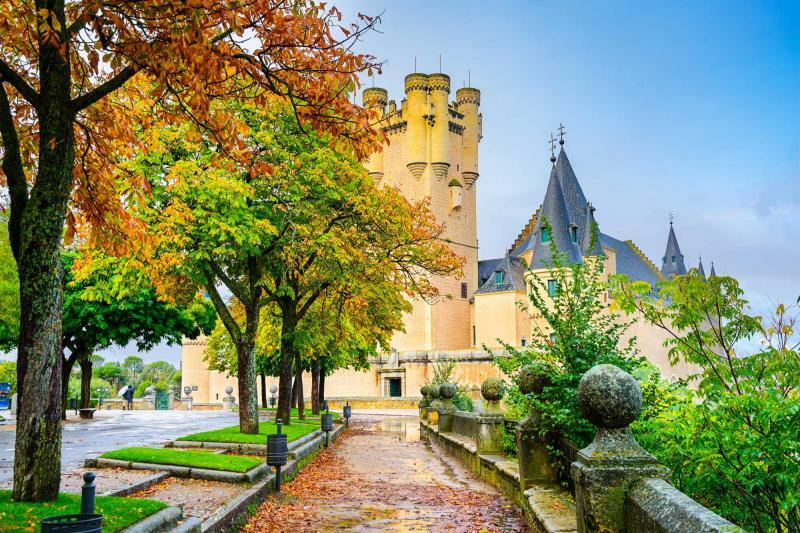 Spend two nights in both Toledo and Avila, ancient towns seemingly straight from a fairytale and fulfilling all notions of old-world romance. As you continue north, you stop at the Segovia castle and the decadent El Escorial before arriving in Madrid in the late afternoon of day ten. 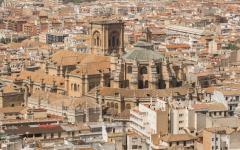 The final few days are dedicated to Spain's biggest cities. 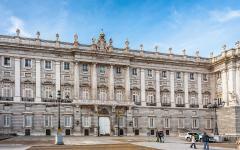 Explore the unrivaled art of Madrid and lose a few hours on the majestic Plaza Mayor. A high-speed first-class train takes you to Barcelona. But before seeing the works of Gaudi, the day is inspired by the city's other modernista, Montaner. Watch an evening performance in his Catalan music hall then complete the architectural journey with a whole day focusing on Gaudi's surreal work. This is a vacation that continually impresses both history and grandeur. 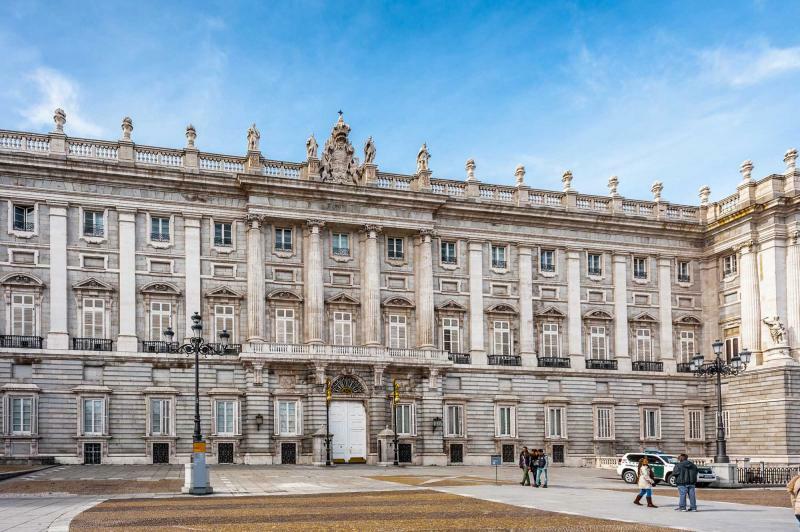 For many centuries, Spain led the world in art and architecture; this itinerary connects the individual dots for a complete portrait of old-world glory. Colorful tones ripple across the roof tiles as you start the journey in Seville, a vibrant city in the heart of Andalusia. The remnants of Roman rule still peek out on the streets, as do the exquisite relics from the Islamic Almohad Empire. Now comes Gothic and Renaissance sculpture on the narrow streets of the old city. The real exploring starts tomorrow, so for now, sit back on your hotel rooftop and admire the eclectic architecture that dominates the cityscape. You'll be met at the airport and transferred to your hotel and the rest of the day is at your leisure. Wealth has always poured through the streets of Seville, cascading through the mazy old city to great mosques and the houses of the bourgeoisie. Cathedral spires peer out as you get lost in the streets and wander past artistic treasures that your guide introduces. 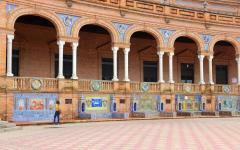 Walk to the Alcazar of Seville, where the grand Mudejar palace towers above courts of Hispano-Muslim influence and art. 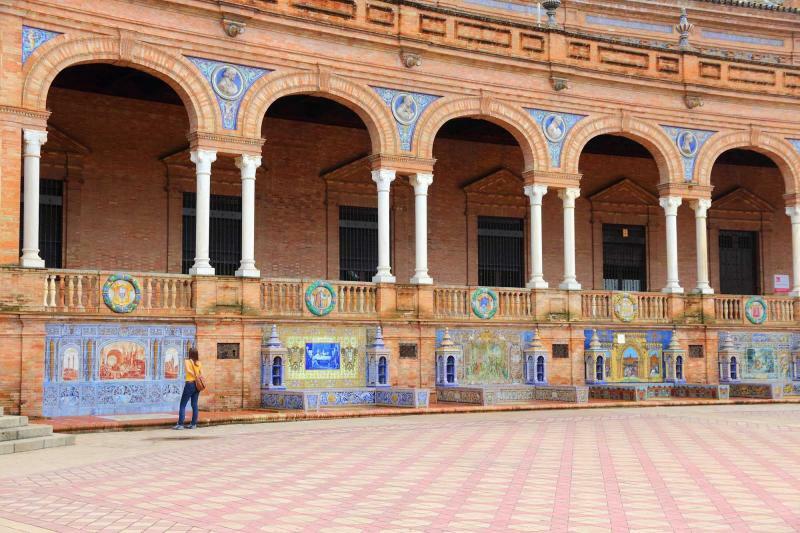 Explore the huge complex, admiring the ornate decorations in one of Seville's World Heritage sites. After lunch you move forward in time, exploring Mudejar styles that blend into Renaissance tastes at Casa de Pilatos, a huge mansion that juxtaposes an eclectic mix of architectural elements. The rest of the day is free, allowing you to wander medieval and Baroque suburbs of winding streets. 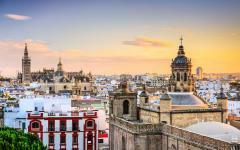 Seville revels in its splendor, even the most functional of buildings have been inspired by distinct architectural styles. Take the Hospital de la Caridad, exceptionally carved in the Baroque style as a place for the city's poor and sick. Explore the chapel and its artistic masterpieces, the cycles of life and death winding around a quiet space. Next you're at the Almohad Torre del Oro, one of Seville port's original towers and one that still dreams of its days of gilded golden towers. Now Santa Cruz, a medieval banquet of mini palaces and 16th century aristocratic wealth, the flowing walls centered on the Great Mosque. Except it's not a great mosque anymore, the minaret having been converted to a bell tower and the memoirs of Islam now incorporated into Seville Cathedral. This building provides a staggering snapshot of Seville's history, from the old mosque courtyard to the grand interior of what was once Europe's largest Gothic cathedral. Columbus's tomb and Baroque paintings add further tales of glory to the tour. Geometric floral patterns swirl across the archways of Cordoba's Great Mosque. Carved doorways overlook abstract mosaic, the architecture hardly touched since it was built in the 8th century. 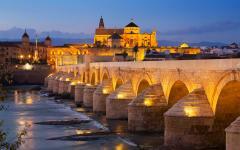 Part Hispanic and part Islamic, Cordoba's mosque is a labyrinth of decoration that quickly compels the eye. 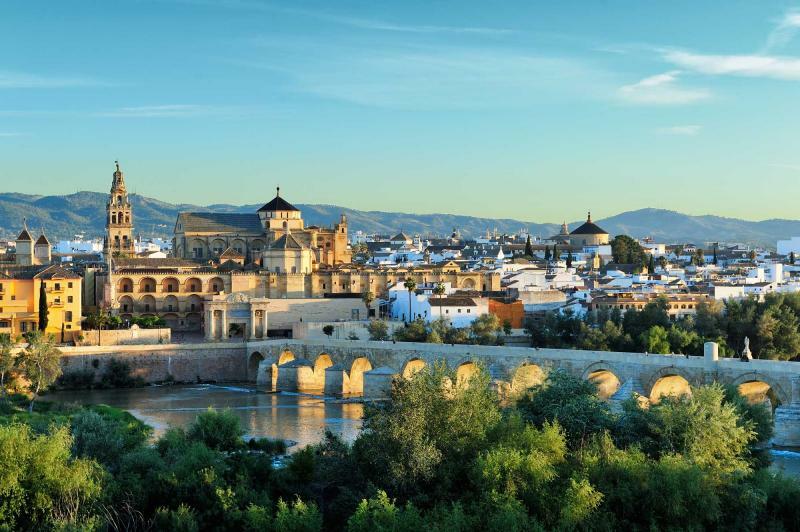 This morning you drive across the Andalusian basin to Cordoba where this exquisite mosque is your first slice of the town's architectural history. Where as Seville built a cathedral upon the mosque, Cordoba enclosed a cathedral within the confines of the towering mosque. Spend the whole day in Cordoba, enjoying lunch on the Plaza Mayor and also visiting the Synagogue, another building of unusual religious harmony. 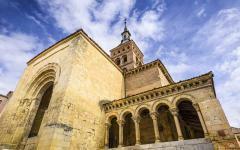 Continue in the afternoon to Granada, driving across olive forests to a distinctly Roman history. 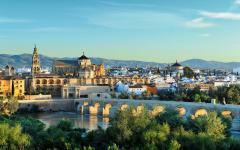 The private transfer is by a luxury vehicle and you overnight in Granada, gazing out at the Alhambra. Granada's architecture lingers in the East, exotic palaces and delicate artwork clinging to the red sand terraces above the town. Ornate courts are dotted with stucco-decorated arches and columns of subtly carved stone. Fountains splash in the Alhambra gardens and then a Charles V palace helps to contrast Renaissance with Islamic vernacular architecture. You spend the morning marveling at the splendor of the Islamic Alhambra and Generalife, enjoying images that came to represent the cross-fertilization of Spain and the exotic East. After lunch the journey is a Gothic one, through the historic Albaicin quarter to the Capilla Real and then the Granada Cathedral. Muslim architecture still peeks out from below the ground, like sublime bathhouses and the 14th century inns of merchants. Like many days on this itinerary, the architecture is one of contrasts, some stark, other symphonic. La Mancha's landscape borders on the ethereal, its tiny almost abandoned villages hiding Italian architecture and frescoes of 16th century wealth. Cross the mountains into La Mancha and wind past the towns, stopping at Viso de Marquez to admire the Marquis of Santa Cruz palace and the Alvaro de Bazon. Manchego cheese and dry wines fill lunchtime of serenity in Amagro, before the windmills of Consuegra provide a timeless image of Don Quixote, Spain's greatest literary work. 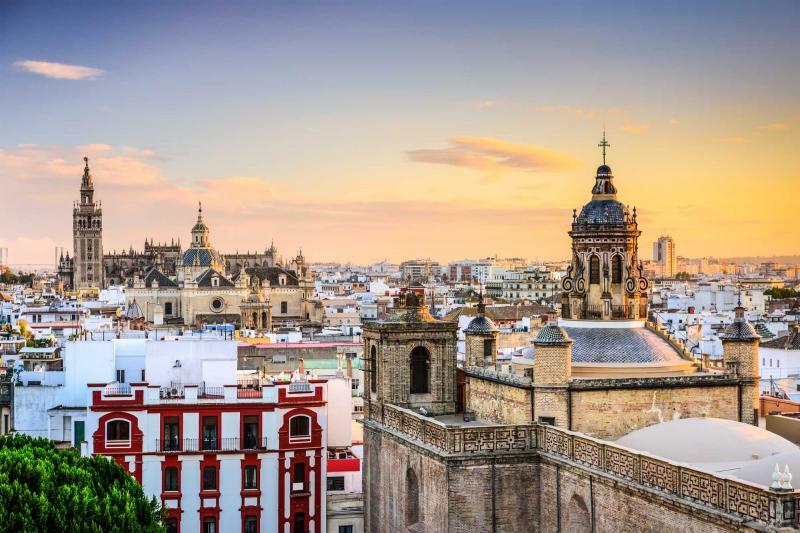 As the sun begins to set you roll into Toledo and wander across the old stone bridge, picking a path through the Mudejar City Gates to one of Europe's finest ancient walled cities. Toledo's Alcazar dominates the town, a striking starting point of authority. As the church bells ring out the city's resplendence is slowly revealed. 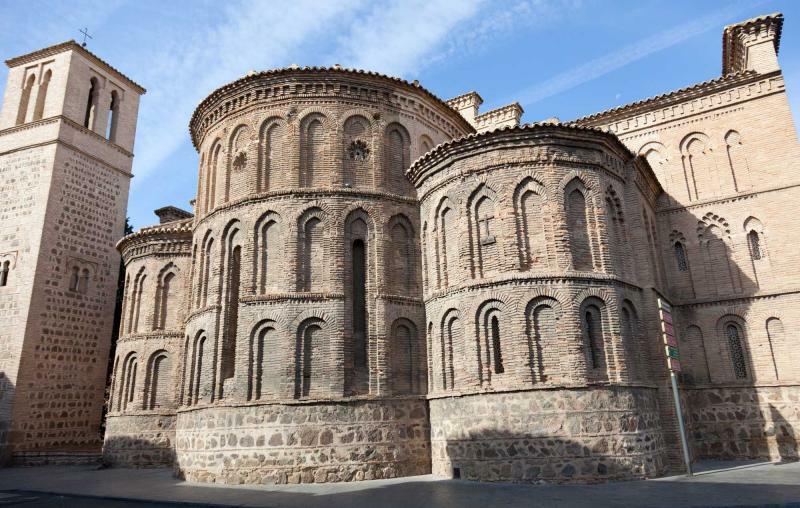 First, the tales of Roman rule, then the network of synagogues and churches embellished in a unique Toledan Mudejar style. Toledo's Gothic cathedral connects the narratives of war and conquests, a multicultural character pervading throughout. Wind through the streets, no open spaces in the maze of enchantment, with synagogues and small mosques dispersing 1000 years of history onto the medieval quarter. Arabic inscriptions stand beside Gothic chapels and now a Renaissance hospital revels in early 16th century glory. For many centuries, Toledo has been the capital of kingdoms and its architecture is a gateway to the whole of Spain's history. 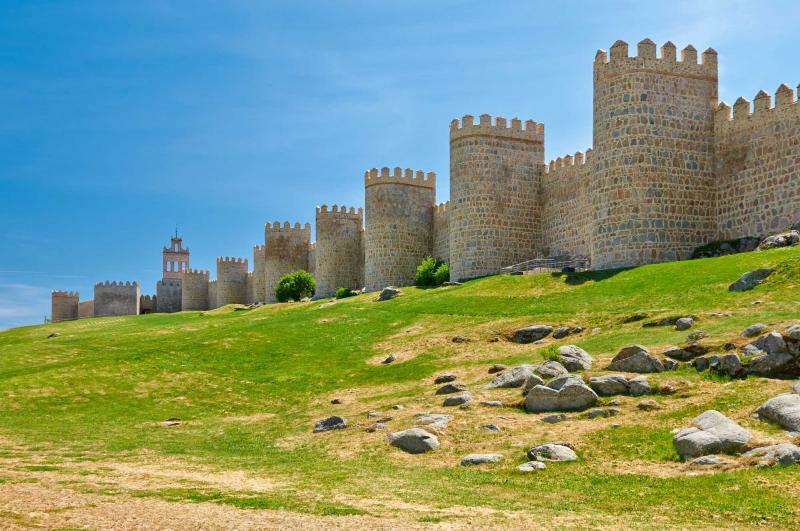 Avila stands resplendent behind its 11th century walls, the medieval houses and fortified palaces reflecting a cross section of life during the Middle Ages. 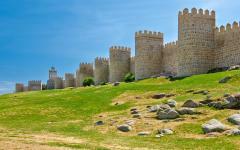 After a short transfer, start on the Avila city walls, walking along them for dazzling views over the countryside and town. Then explore a series of sublime Romanesque churches and monasteries, including San Vicente, the Avila Cathedral, and the Convento de la Encarnacion. Today's guided sightseeing is relatively short and you've got the whole afternoon to enjoy Avila's town square and watch the world go by at leisure. There are few more complete showcases of medieval architecture than Avila and slowly ambling through the streets is recommended. 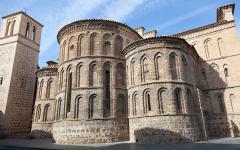 The Salamanca University glistens with golden stone, reflecting the morning sun as you start today's tour. Columbus, Cortes, Cervantes, Calderon - many of Spain's great historic figures studied here, at a university that's almost 800 years old. Artistic design covers the Romanesque Catedral Vieja, while the Gothic Renaissance Catedral Nueva is another monument in the intellectual heart of the city. Go back further in history at the Tormes River, where a statuesque Celtic male pig dates back to before the Romans. Wander the palace of Casa Lis and the Museum of Art Nouveau and Art Deco, then do what Salamanca is all about: sitting at the glorious Plaza Mayor and allowing a few hours to float by. Like Toledo, Salamanca really knows how to entertain you with different centuries. You return to Avila in the late afternoon. 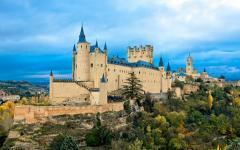 Segovia's castle stands in its romantic glory, a medieval timepiece that was the model for Disneyland. If a child drew a castle it would look like this, gently welcoming yet hiding surprise. 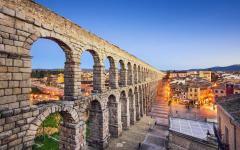 Segovia is another one of Spain's sublime medieval towns, packed with 12th and 13th century Romanesque churches and grand tower houses. 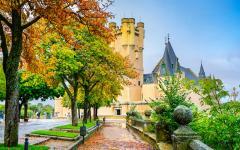 There will be time to visit a few churches and the castle, before driving towards Madrid and stopping at the lavish aristocratic retreat of El Escorial. Descend into the crypt and see the tombs of many Spanish monarchs, admire a fabulous art collection of old Spanish masters, and feast your eyes on one of the world's oldest libraries. The huge El Escorial complex is a World Heritage Site and is an ode to Renaissance indulgence. Like all land journeys, you're transferred in a luxury saloon with your driver guide. As this is a private tour, the exact timings can be altered and dictated on the day. 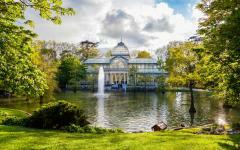 Continue to Madrid and spend your first night in the capital. 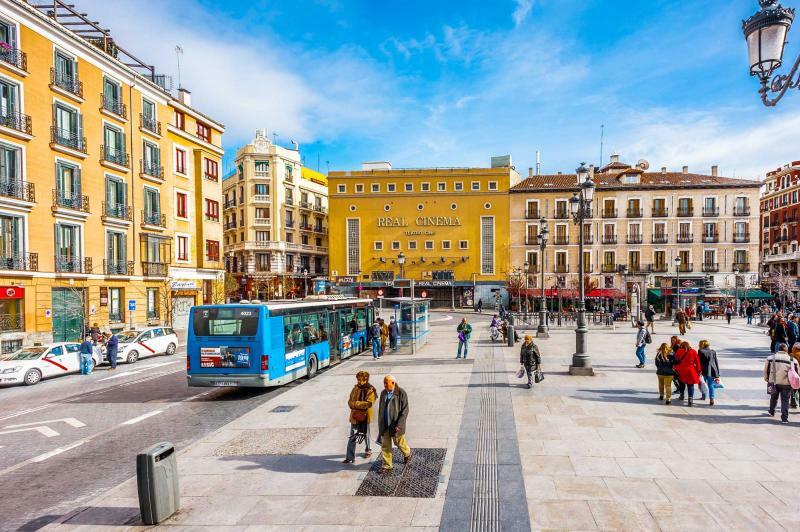 The Spanish capital is centered on the Plaza Mayor, a royal public square that's hosted all the city's major events, like public executions and royal proclamations. Elegant townhouses gaze down on the square, some splattered with unusual and risqué artwork, others home to dainty pots of flowers resting on the balcony. From the Plaza Mayor Madrid is an adventure, the narrow old town streets weaving past chocolate and churros smells, then winding to antique stores. 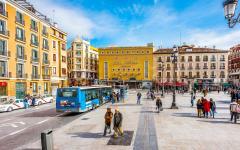 Spend the morning around these streets then enjoy lunch at the Plaza Mayor, absorbing the country's finest public space. There's a choice of art galleries in the afternoon. 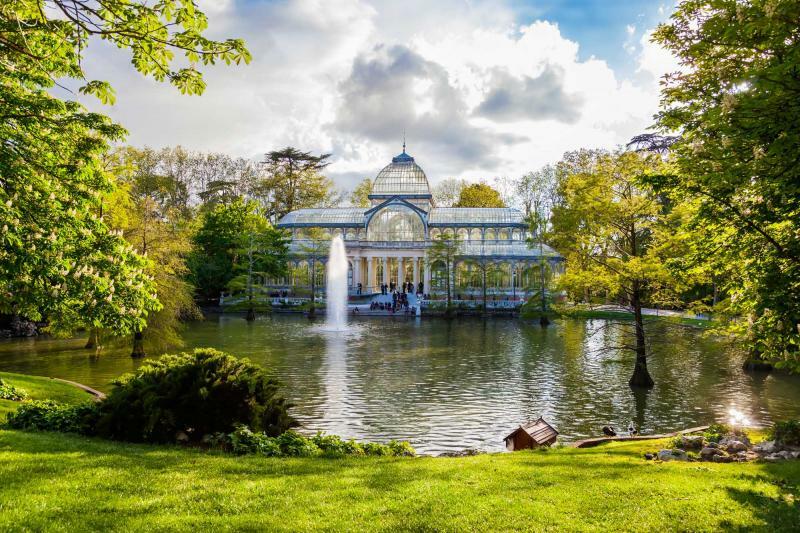 Madrid is home to three outstanding museums and galleries; the Prado Museum is amongst the finest in the world, the Thyssen-Bornemisza Museum is home to an exquisite private art collection, while the Reina Sofia Museum contains the best of Spain's modern art. There should be time to visit two of these. A high-speed AVE train slices across the Spanish landscape, transporting you to the city of art nouveau in just over two hours. You say goodbye to your driver guide in Madrid and are met by a Catalonian guide at Barcelona Sans train station. 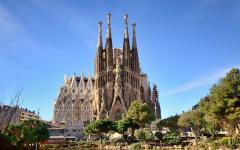 You're in Gaudi's city and his eternal monument, La Sagrada Familia, towers above the city. 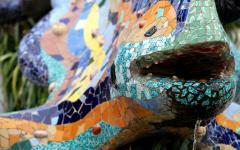 But before Gaudi, discover a less explored side to Barcelona. Start at the Museu d'Historia de Catalunya for an outstanding overview of the area before getting lost in the city's old Gothic Quarter. Gaudi wasn't the only modernista to grace Barcelona. After an afternoon at leisure you enjoy an evening performance at Montaner's glorious Palau de la Musica Catalana. Arrive before the show to marvel at the sculpted swirls and unusual furnishings, before the music hall is filled with soft symphonies. Gothic, Mudejar, medieval, Romanesque, Renaissance, and now the world of Gaudi completes the remarkable architecture of Spain. Start early to explore La Sagrada Familia without the crowds, geometrical patterns extending across a cathedral that's still being built after 100 years. 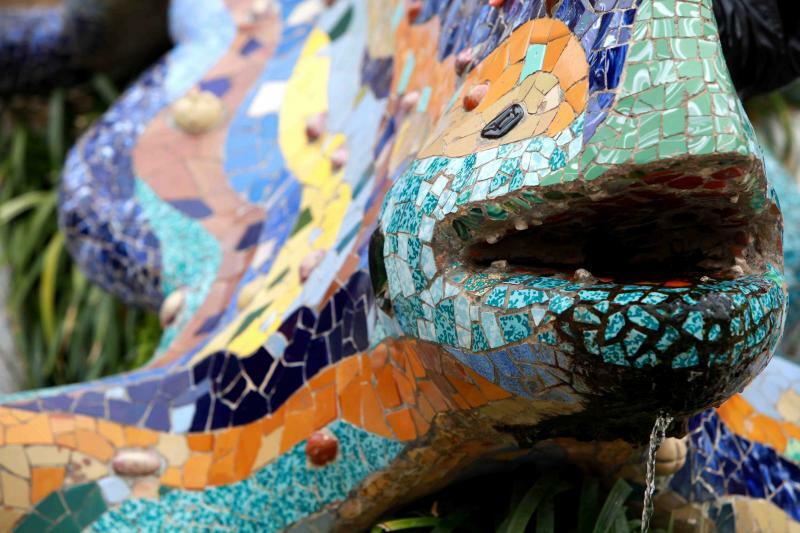 Then soak up the sun at Parc Guell, a green space of intricate mosaics and eclectic terraces, all gazing out over the city. Take your time, every meter of the park revealing an artistic flair. These are Gaudi's two most famous and largest works, built as his fame rose and his style was refined. After lunch you explore Gaudi's earlier work, the grand residences that were commissioned by eccentric local merchants. Admire the unusual chimneys of Casa Mila and the strange dragon shaped roof of Casa Battlo. Head inside and both buildings defy the eyes, the interior decoration from a surrealist fairytale. Finally, the Palau Guell offers a fitting conclusion to this architectural tour. While the uninhibited Gaudi interior is unlike any other building in the world, there's an indelible sense that you're exploring something distinctly Spanish. After two weeks that have covered most of Spain's exceptional architectural destinations, you depart from Barcelona and think over the myriad of styles that have provided the vacation's beauty and enchantment. "This trip was exactly what we asked for... Everything worked smoothly..."
"Excellent all around! The Greece travel agency did a great job." "Trip was great. This Greek tour operator did a wonderful job of setting up our custom itinerary..."
"The most impressive aspect of the travel company was the efficiency of all of the details..."
"The Greece travel agency's arrangements were great...I would recommend them to others..."